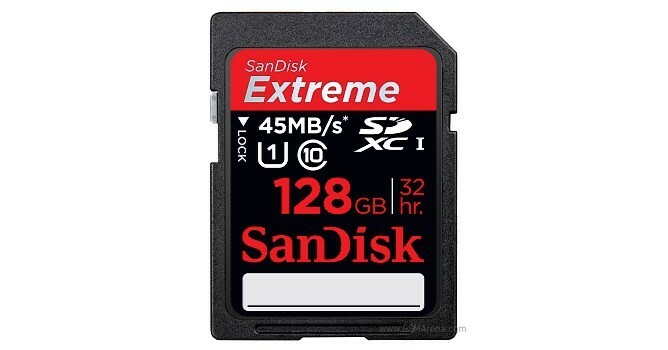 Video enthusiasts feeling left out of all the CES hubbub can finally feel like part of the party with SanDisk’s new 128GB Extreme SDXC UHS-I card. Designed specifically with burst-mode shooting at high resolutions in mind, the new card claims to be the fastest of its kind in the world. Sporting a blazingly fast Ultra High Speed (UHS) Class 1 rating, SanDisk claims the 128GB behemoth and its 64GB counterpart can achieve read and write speeds of up to 45MB/s. The release of the two new SDXC cards goes hand in hand with SanDisk’s claim that user generated HD video is expected increase dramatically in the following years. Both cards are available worldwide now for $199.99 and $399.99 respectively.